At the 2015 United Nations Climate Change Conference in Paris, the U.S. government proudly announced that they are doubling their investment in clean energy R&D funding over the next five years from $6.4 Billion to $12.8 Billion. With this type of substantial commitment you have to believe there is something real about the zero emissions movement. The goal of the investment is to identify effective clean energy technologies and help get them deployed as quickly as possible. 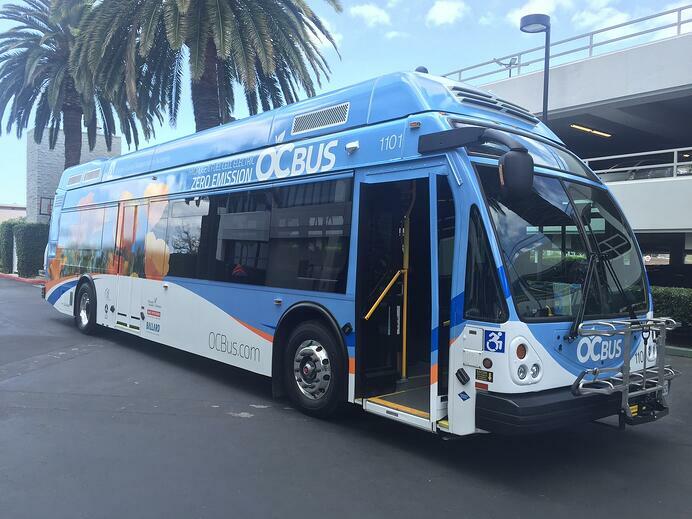 One particular clean energy initiative in California that’s receiving a lot of attention is the Zero Emission Bus (ZEB) program. ZEBs are transit buses with all-electric or fuel cell powertrains. ZEBs are operated by transit agencies in accordance with California Air Resources Board (CARB) regulations and are on the cusp of being ready for large-scale deployment. From an environmental perspective, each Zero Emission Bus removes an average of 10 tons of nitrogen oxides and 1690 tons of greenhouse gas emissions over its lifetime--PER VEHICLE. Can you imagine if all the diesel-powered bus fleets were replaced with Zero Emission Buses? The implications with improved air quality and the positive downstream effects of reduced smog on society-from personal well-being to the extended healthcare system-would be staggering. The infrastructure to implement these clean energy technologies is developing. Some of California’s transit agencies that are leading the way are: AC Transit and Palm Spring Region’s SunLine Transit Agency. Both participated in pilot programs and are now stepping up their commitment in a material way. The regional benefits in California are being felt with reduced air pollution and an increase in community wellness. Zero Emission Bus technology is improving and the costs are coming down; smart policies and incentives introduced by the U.S. government are helping to overcome the barriers at this early stage of the market deployment. 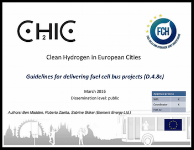 In the recent guidelines published by Clean Hydrogen In European Cities (CHIC) the benefits to air quality from delivering fuel cell bus projects in EU cities are outlined, and what the next step are in the sector. To read all of the learnings, you can access the guidelines through the download link below.